Nothing says Spring like denim on denim! 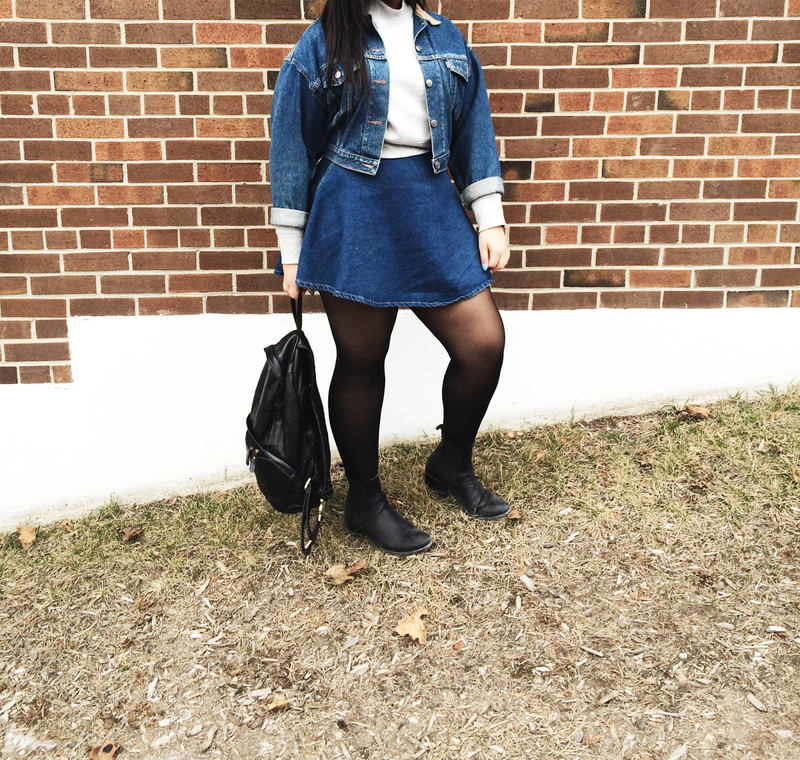 I'm keeping it 90s inspired as per usual in one of my fave vintage Levi's denim jackets. 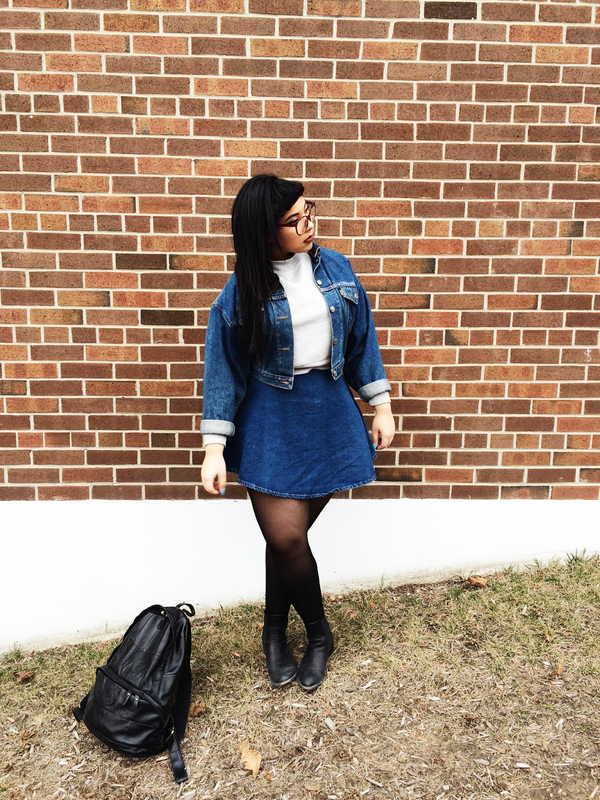 The wash of the denim is a near perfect match to that of this American Apparel circle skirt. Together, I think they couple as the perfect Canadian Tux. Some people follow this crazy rule of varying colours and washes when wearing denim on denim. I have one rule - ignore the rules! This is a great way to wear a retro look without looking costumey. I always pair vintage or vintage inspired pieces with pieces that are minimal and modern like this double knit cropped sweatshirt in a heather grey from H&M or these basic black chelsea boots by Frye. This is the key to a polished and put together outfit with a throwback vibe!